Lumbar decompression/laminectomy is a surgery designed to eliminate pain caused by pinched nerve roots in the spine. This procedure is typically used to treat spinal stenosis and other conditions that cause nerve pressure. 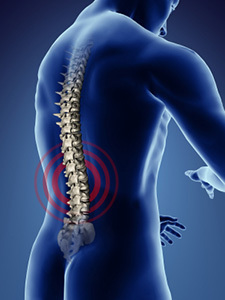 Why Choose The Spine Center? The Spine Center offers advanced treatment options for correcting a range of spinal conditions, including spinal stenosis. Doctor Saqib Siddiqui offers every patient his full personal attention. Doctor Saqib Siddiqui provides a thorough examination, explains treatment options, and answers all questions you might have. If you're experiencing serious back pain from pinched nerves, it isn't going to get any better on its own. You need to visit The Spine Center to discover the treatments available for alleviating your pain and improving your quality of life. The only way to determine if you're a candidate for the lumbar decompression/laminectomy procedure is to schedule a consultation at The Spine Center. Let Doctor Saqib Siddiqui and The Spine Center discover the source of your spinal pain and provide treatment options for reducing your pain. Call (954) 916-7062 or contact us online to schedule your appointment today!